In partnership with Tamr – Companies have invested an estimated $3–4 trillion in IT over the last 20-plus years, most of it directed at developing and deploying single-vendor applications to automate and optimize key business processes. And what has been the result of all of this disparate activity? Data silos, schema proliferation, and radical data heterogeneity. on their own, top-down, deterministic data unification approaches aren’t prepared to scale to the variety of hundreds, thousands, or tens of thousands of data silos. The diversity and mutability of enterprise data and semantics should lead CDOs to explore—as a complement to deterministic systems—a new bottom-up, probabilistic approach that connects data across the organization and exploits big data variety. In managing data, we should look for solutions that find siloed data and connect it into a unified view. “Getting Data Right” means embracing variety and transforming it from a roadblock into ROI. 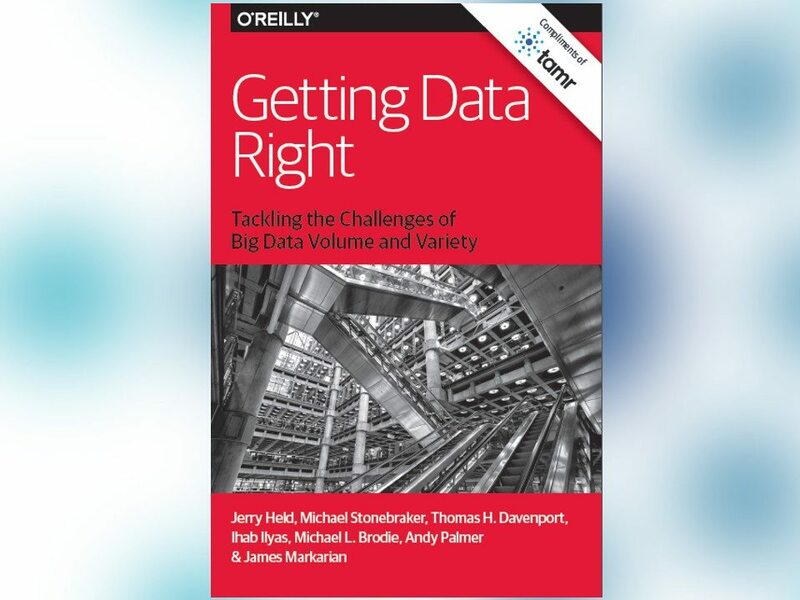 Throughout this report, you’ll learn how to question conventional assumptions, and explore alternative approaches to managing big data in the enterprise.